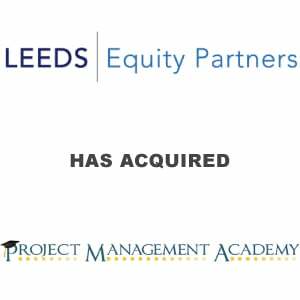 Leeds Equity Partners Closes on Investment in Project Management Academy - Berkery, Noyes & Co., LLC. New York, USA — January 7, 2016. Leeds Equity Partners, LLC, the New York based private equity fund focused exclusively on investing in the Knowledge Industries, announced today that on December 21, 2015 it made an equity investment in Educate 360 Holdings, LLC (“Project Management Academy” or the “Company”) in partnership with the Founder and Chief Executive Officer, John Smith. Terms of the transaction were not disclosed. Project Management Academy was founded in 2009 by John Smith to provide best-in-class training for the career-critical PMP® Certification. The Company teaches over 400 courses annually to more than 8,000 students, and offers in-house training to corporations. The PMP® certification is widely recognized as the leading certification for project managers across multiple industries with over 600,000 registered professionals. In addition to PMP® training, the Company offers courses in related project management disciplines, including agile and six sigma. “Project Management Academy’s strong and committed leadership team, led by Founder John Smith, fits well with our history of backing successful executives and entrepreneurs to help drive the next stage of growth,” said Christopher Mairs, Principal of Leeds Equity Partners. Project Management Academy was represented by Berkery Noyes Securities, LLC, a New York City based investment bank. Leeds Equity Partners, LLC, is a New York based private equity firm focused exclusively on investing in the education, training and information services industries (the “Knowledge Industries”). 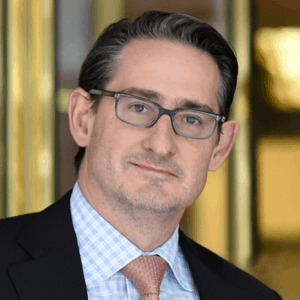 The firm was founded by Jeffrey T. Leeds and Robert A. Bernstein in 1993 and has raised and managed more than $1.1 billion of capital across five funds. The Board of Advisors of Leeds Equity Partners includes: Chairman General Colin L. Powell, former Secretary of State, National Security Advisor and Chairman of the Joint Chiefs of Staff; Vice Chairman Gaston Caperton, a former President of the College Board and a former two-term Governor of West Virginia; Tim J. Fitzpatrick, a former CEO of Sallie Mae Corporation; Thomas F. (“Mack”) McLarty III, President of McLarty Associates and former White House Chief of Staff under President William J. Clinton; Dr. Barry A. Munitz, former Chancellor of the California State University system and CEO of the J. Paul Getty Trust; Richard W. Riley, former Secretary of Education under President William J. Clinton and two-term Governor of South Carolina; Alec Ross, former Senior Advisor for Innovation to former Secretary of State Hillary Clinton; and Timothy P. Shriver, Chairman of the Board of the Special Olympics.